Welcome to the New Forest Pub Guide. New Forest pubs invariably offer warm, friendly hospitality; comfortable surroundings; fast, friendly service; a wide choice of drinks and delicious food to satisfy even the keenest appetite. 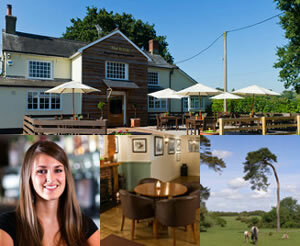 Indeed, a good New Forest pub can’t be beaten for a great night out, a quiet drink or a pleasant meal. And there’s a great selection of pubs available. Choose from village centre pubs or walk, cycle or drive into the midst of the Forest and enjoy some of the more outlying establishments. Or why not stray a little further and take in some of the pubs just beyond the ’old’ New Forest boundary, for example along the nearby coast at Lymington, Pennington or Keyhaven; or in the numerous delightful villages set amidst rolling Hampshire countryside at places such as Damerham, Rockbourne and Whitsbury; or along the valley of the mighty River Avon at Fordingbridge, Breamore or Sopley. Most of the local pubs serve food. Some start as early as 7.00 am with full English breakfasts that cater best for campers tired of early morning cooking. Lunchtime and evening menus are varied, whilst cream teas have developed into something of a local speciality. Quality and service are often impressively high, and customers usually leave well-satisfied with their culinary experience. Many pubs also cater well for children, offering gardens, play areas, special menus and smaller portion main meals. Some also offer accommodation for those who enjoy staying in a pub environment, or maybe do not want too far to walk after an evening of eating and drinking. Some of the pubs also make particularly good bases from which to explore the surrounding Forest, and make great refreshment stops during walks or cycle rides. As well as the expected wines, spirits, lagers and keg beers, many of these pubs offer at least one real ale, and often a regular changing, varied selection, including top quality guest beers.